Several ordinary Frenchmen, helping British pilots avoid Nazi captivity, goes on an epic voyage through the occupied country to the Swiss border. | Why is this movie so funny? Why is this movie so funny? And why is it universally judged to be so by people who don't understand French culture? I have asked myself this question while watching it for the Nth time and while asking myself why most Hollywood 'comedies' made today are not funny at all. I believe that the answer is that the basis of all comedy is to make fun of someone. Here, fun is made of sexual stereotypes, of the British, of the French and, most of all, of the Germans, Nazis in this case. Hollywood has become so politically-correct that it now only dares make fun of a WASP male in a business suit, and of no one else. Take the case of 'The Birdcage', a remake of the French comedy 'La cage aux folles' made some 20 years earlier. Being bilingual, I can testify that the original version is immensely more funny than the Hollywood remake. That is because the Hollywood bean-counters, who like to pass themselves off as artistic decision-makers, toned down most of the fun that had been made of homosexuals in the original movie. Ask Shakespeare or Moliere: the play or movie will be funny only if it pokes cruel fun at someone, provided it is not at you. Sorry for the politically-incorrect opinion. This film was the most successful French film in Germany until Welcome to the Sticks (2008) was released. Stanislas LeFort: Qu'est-ce qu'il dit? Augustin Bouvet: Il dit: "Get in!" When Stanislas and Antoine enter Mersault and are standing in the place across from the Hotel du Globe, a modern lit up sign for the hotel stands above the doorway. In World War II, no lights were permitted outside that could be viewed from the air so if the sign had been there, it would have been dark. The original German release had several parts of the French original cut. 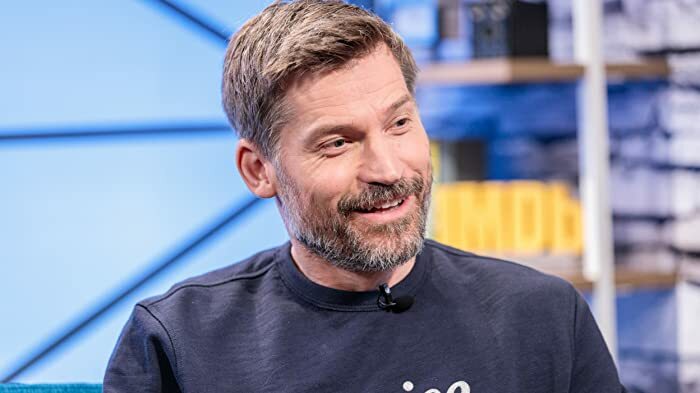 Some of them might have been taken out because some gags could not be used because of the different languages used in the original (French, German and English). There is for example the quite funny scene when Claudio Brook reveals himself as an English man on the train when he says "I'm sorry" when spilling some vine. The German version instead just shows the angry German officer who commands to arrest the English soldier. Some parts are cut without any obvious reason - e.g. 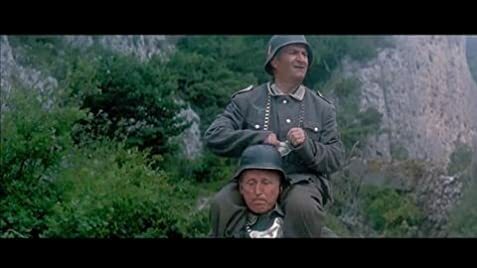 a humorous dialogue of de Funés and Bourvil, their escape and chase in German uniforms. The German version just comes into the scene when they are already arrested.